Spreading awareness about the mission of Boxes With A Purpose. 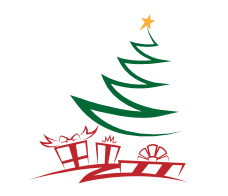 Engaging individuals, organizations, and groups to unite together with fellow West Virginians by filling Christmas Eve Fun Boxes, and volunteering in a variety of capacities to help ensure the success of the campaign. Develops informal partnerships between the above entities (1-6) and Boxes With A Purpose. Secures a minimum of three drop-off locations within the county. Recruits, from within their county of residence, volunteers to deliver completed boxes to central location in Barbour County, WV. Once the boxes arrive at the central location, they will be inspected, sorted, and distributed to our partnering agencies. Our partnering agencies will then distribute the boxes to children in foster care throughout the partnered 44 counties in WV. Share connections, resources, etc. that you may have on other campuses with your fellow Point of Contact volunteer(s) and/or committee representative. Communicate weekly (or more if needed) with committee representative.